Do you know who you are writing to? I mean, do you really KNOW? If you close your eyes and imagine your reader, who do you see? Is it a clear picture of a person you know well, a friend you know as intimately as you know yourself? Or is it more nebulous? A fuzzy approximation of who you think your audience might be? One of the most common fears I hear from our Elite Blog Academy students is the worry that if you zero in on your audience and get too focused on whom you’re targeting, you’ll alienate your readers. On one level, this fear makes sense. Isn’t it smart to appeal to as many people as you possibly can? Shouldn’t we broaden our scope and be more inclusive? Shouldn’t we try to grow by casting a wide net? In a word, no. 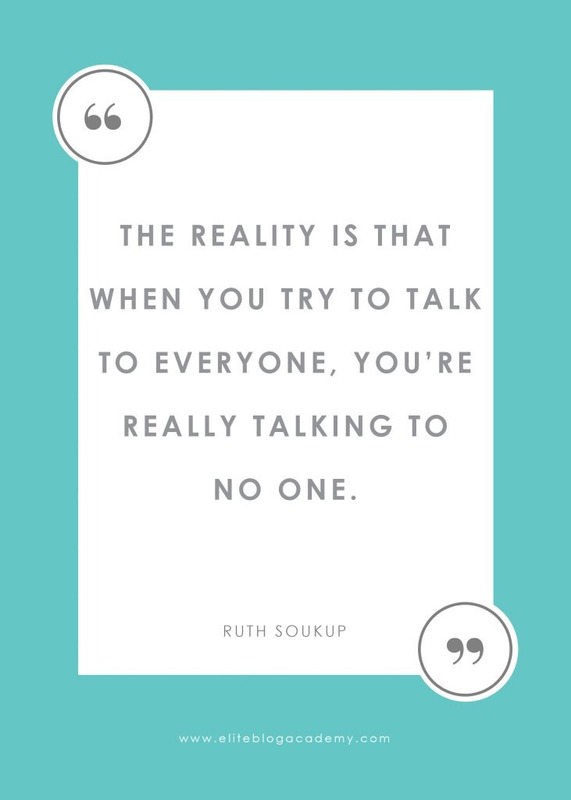 The reality is that when you try to talk to everyone, you’re really talking to no one. Think about it–your number one goal in blogging is connection. The more specific you can get and the more you can hone in on talking to one person, the more connection you’ll foster. But the problem is, when we think in those broad and generic terms, we’re not really connecting. We don’t understand who our audience IS. What makes them tick? What are their goals? What are they looking for? In order to foster that real sense of connection, you need to know your audience on a personal and intimate level. And the more you can hone in on that one individual in your audience, the one person you’re writing to — the more personal and intimate your writing will feel. So it’s time to really get to know your target audience. When you know who your target audience is on a personal and intimate level, writing will become so much easier. Instead of writing to a faceless audience you don’t really know, you’ll start to feel like you’re writing to a friend. It’s easier to write to a friend because you know them: you know their life, you know their struggles, you know the ins-and-outs of what they’re going through. Let’s look at an example of this. Let’s say you were writing an email to your best friend about how to organize her closet. Well, she’s your best friend! You already know her, so you know what she’s going to struggle with in organizing, you know what her closet looks like, you know the kind of advice she’s going to respond well to. You know her, you love her, and you know how to talk to her, so writing that email feels natural and easy. But let’s say you had to write an email to a large group of people on how they should organize their closet. Well, that’s a little more difficult. You don’t really know anything about them. What’s wrong with their closets? Are they already fairly organized, or are they starting from scratch? You’re grasping in the dark, and without knowing all those personal details about whom you’re addressing, it becomes harder to write. The same is true when you really get to know your target audience. You start to think about them — and write to them — like you would with a friend. Once you have that friendly relationship, the writing just starts to flow. When you get to know your audience on a deeper, more personal level, it’s also going to facilitate coming up with ideas. When you spend the time to really dig deep and get to know your audience — their hopes, their dreams, their struggles — you’ll be able to write about things they connect with. You’re going to be an idea machine because you know exactly what kinds of things they want to read about. Again, it’s like the relationship you would have with a close friend. When you know someone really well, you know the kinds of things they love and want to know more about — and you know the kinds of things they have no interest in at all. When you know your audience like you know your friends, you can use that knowledge to come up with amazing topic ideas they’ll really connect with. It may sound counterintuitive, but it’s true — the more you narrow your focus and write to a specific person, the broader your appeal will be and the easier it becomes to build your audience. Here’s why: when you get personal in your writing and whom you’re writing to (instead of the broad and generic audience I mentioned earlier), you bring a realness and authenticity to your writing. That realness and authenticity is what people connect with. You won’t appeal to everyone — that’s impossible — but by being more personal, more of your readers will think, “Oh my gosh! It’s like she’s talking to ME!” And that feeling of connection? That’s what builds your audience. Okay, my dears, now that you know exactly why you want to get really specific on your target audience, let’s talk about the how. The how is creating a real, relatable persona to represent your audience. What blogs or websites do they read? What are this person’s dreams? What are the things no one knows about them? What are the things they struggle with, but feel too embarrassed to ask help with? What brings them real joy? If I could solve one problem for them, what would it be? Now, obviously, you won’t be 100% certain — you’re not a mind reader! And that’s totally okay. There are no right or wrong answers when creating your audience persona. You’re coming up with answers to these questions and creating your persona based on what you know about your audience and based on the type of audience you really want to connect with. Once you have answers to all the questions above, it’s time to write out your audience persona, which is also called an “avatar.” You want your persona to jump off the page and feel like a real person. Carol has a lot of acquaintances, but she often feels like she doesn’t have any real friends. All the moms at her children’s school seem catty and judgmental, like there is an unspoken competition for who can be the prettiest, whose children are the most talented, who drives the best car, who lives on the best street, and so on. Carol finds it completely exhausting, and sometimes she finds herself avoiding the other moms just to avoid the competition. Do you see how powerful that can be? With an avatar that specific, you know exactly whom you’re writing to every time you create a blog post. 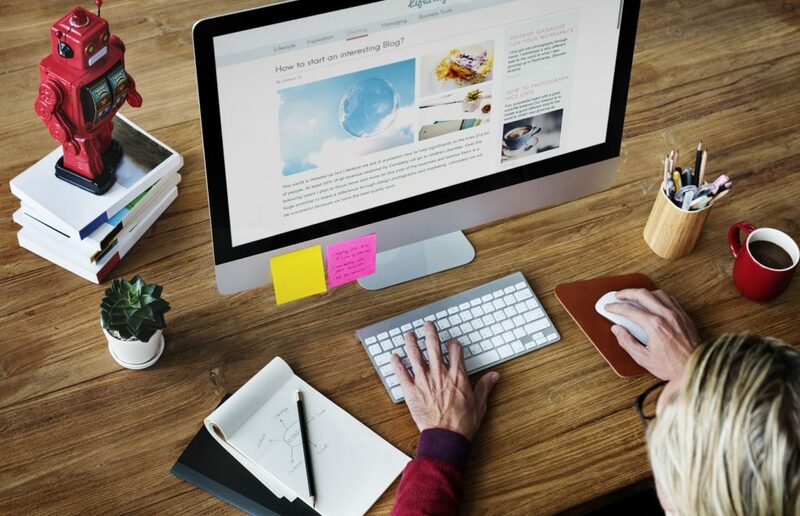 Because of that, the blog post you write is going to connect on a deep level with your target audience. If this feels like a lot to take in, I totally get it! I know that figuring out who exactly is in your audience can feel overwhelming. 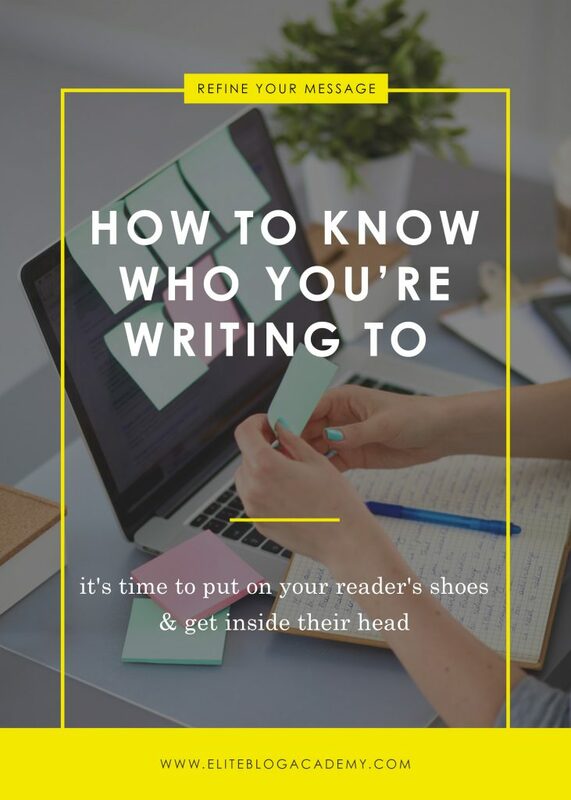 But by really narrowing in and understanding whom you’re writing to, you’ll have an easier time writing for your audience — and an easier time connecting with them, too. If you’ve done this exercise, I’d love to hear your thoughts on what you discovered! Who are you writing to, and how has it impacted your blogging? PS: In case you missed it, we talked about finding your ideal audience on Facebook Live. Join Elite Blog Academy on Facebook to participate in future live videos! Parent care. Lots of kids info, but very little on how to care for loved ones on the other end of scale. I’ve been struggling with this for weeks. HOW do you come up with the answers to these questions? Do you just make them up, and assume that whatever you write based on the resultant persona will attract readers that “match” it? Oops, I put my post in the wrong place ! Ruth, I could really use help with this one. I am 54 with an organizing blog dealing with all things in the home. I feel like my target audience are the stay at home moms with kids still at home because I feel like they are the ones who need the kind of advice I want to write about. I’ve been there and want to help the younger moms. I also feel like my audience could be women who are a little older with grown kids because that’s me and I can also relate to my own age group. Do you think it’s ok to stretch my target audience for both age groups? I think you can write to both. I am a stay at home mom, and I find your blog very useful for myself. My mother-in-law reads your blog, and loves it! She doesn’t have kids at home, but they have just purchased their new, smaller home and she is all about making it nice and organized. Plus she is a crafter.. who doesn’t need they craft supplies in perfect order? WOW. I can’t believe this was free information. Extremely helpful. I really thought I had a good concept of who I was writing to until I read the persona questions and the avatar example. Back to the drawing board for me, but in such an exciting way! 🙂 Gosh, it’s so counter-intuitive to be so specific! When I started blogging I was writing rather generically, as I didn’t want to offend anyone, but now, I’m writing for the people..my people…the crazy nut bags out there that truly get what content I’m putting out. When I first read about finding “your people”, it was really intimidating because we want everyone to think everyone is like us, when in reality, they’re not. You’re really right with choosing your topics become easier, because now I don’t second guess myself; I just go with it and my readers seem to enjoy it! I too am really struggling with this! As Rachel asked – do we just use our imagination and make up our avatar and hope we connect? Then again, I have an actual reader who is a fan and reached out to me and we have become real-life friends. I would love to write for her, I think. Am I overthinking this and making it more difficult than it should be….gah! Help, please! Yes, mostly you just make it up, though you can do a reader survey to get some sort of starting point. There isn’t really a right or wrong answer–the point is mostly for YOU to be clear in your own mind of who you are writing to. Does that make sense? If you get a chance, watch the FB live video too–I think it will help! Hi, ruth. i didn’t realize that writing a blog actually is not as easy as i think. Thank you for the information given. it’s really work for me as a beginner. I love this! You really put into perspective what defining your audience means. I know that I haven’t defined my audience nearly enough but will work on this and I know it will make writing posts much more personal. thank you! Hi Ruth! I have a question. About three years ago, I started a blog for single women. I have since then completed my first autobiography, which is about overcoming obstacles. My question is how to merge the two under one business or if it needs to be two seperate businesses? My audiences are different for the two different messages. How would you handle this? Please share your thoughts. Can you make up the person you want to speak to ? And then go from there?